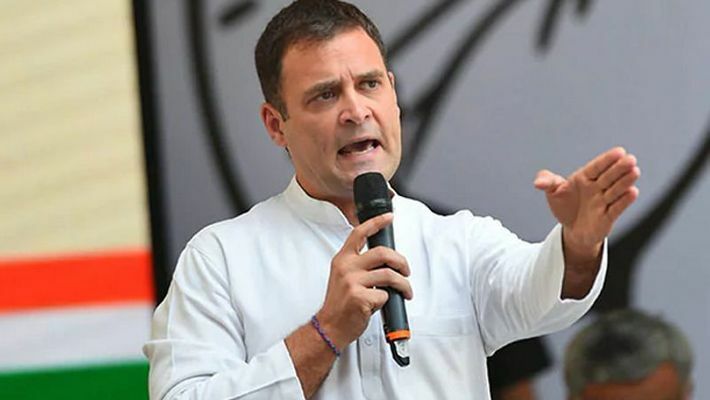 The contempt petition was filed by BJP leader Meenakshi Lekhi after Rahul said that the court has made it clear that Prime Minister Narendra Modi "committed theft"
New Delhi: Congress president Rahul Gandhi received a notice from the Supreme Court over his remark in the Rafale case verdict. The apex court said that the Congress chief incorrectly attributed a statement and asked him to give his explanation by April 22. The contempt petition was filed by BJP leader Meenakshi Lekhi after Rahul said that the court has made it clear that Prime Minister Narendra Modi "committed theft". Rahul was accused of levelling unsubstantiated charges against PM Modi by the BJP. "We make it clear that views, observations, findings attributed to this court in the alleged speeches, remarks made by Gandhi to media/public have been incorrectly attributed to this court. We also make it clear that this court had on no occasion to make such observation in as much as it was deciding legal admissibility of certain documents which were objected by the attorney general," a bench headed by Chief Justice Ranjan Gogoi said.